Jessie is a loving and popular macro who is always seeking attention and loving admiration from those she knows and loves as well as little people. Basically she is like my other macro chars except that she is always been a macro. From the day she was born she was over 4ft tall and whilst growing up as a child has always grown up even bigger and bigger! Now at the age of 21 she is just over 175 feet tall. Although this pic shows her in all her natural beauty she is and has always been one for tight garments like bikinis and underwear which at her size is something that made her the most popular girl in school! Most of the time she is found wearing a number of colored bikinis and underwear, with the color pink being her favorite color and of course light green, lying back in the middle of a city taking in some sun rays or showing off her giant body to all the little people. It was of course some months ago that she felt rather lonesome and down and out about being a macro with no one else her size until one day she noticed something in the midst walking towards a city, she followed onto the city where she noticed another giant, Danny. Hearing the noise of more footsteps, Danny turned around and saw Jessie in a light green bikini looking at him. Jessie looked at Danny in his underwear and became fixed onto his big eyes and tight underwear. Both of them moved closer to each other, greeted one another and just like that it was love at first sight! Together they laid back on the ground and cuddled up getting to know one another and how they became giants. Since that day Danny and Jessie have never been apart from each other or their friends and Adam the giant baby, who see's Jessie as a giant mommy figure. 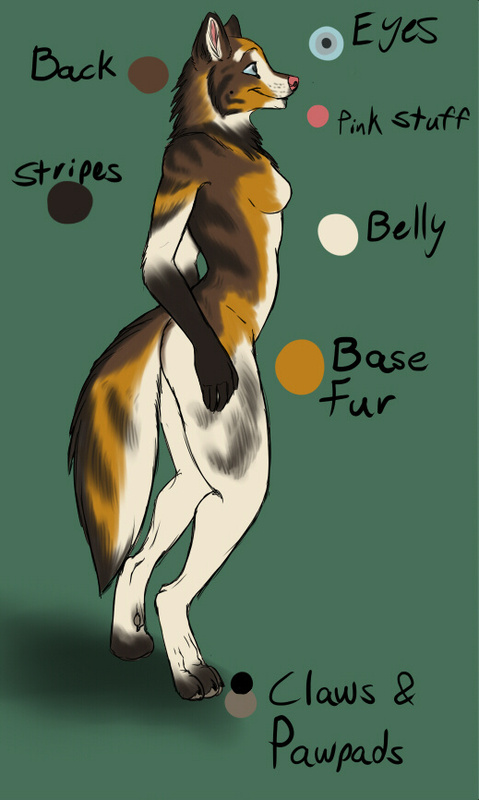 Well this is something new I got the other day from darthaislin as part of a character design auction. When I first saw her I was a little unsure but now I got her I am made up with her. I do know that she's not a husky breed but something along the lines of a Australian Shepherd or something like that. I'm not sure myself but tell me what you think. Just like all my macro characters this is one that will be featured in some of her own macro pics at a later date and of course I will be looking at getting a full front and back reference sheet of her so stay tunned.